A poet, scholar, and professor, Xiaobo threw himself in the middle of the dispute between the Red Army and student protesters during Beijing’s Tiananmen Square protests in June of 1989. Liu helped negotiate a peaceful evacuation of the square, but his support of the protesters got him 2 years in prison and a lifetime of being monitored by Chinese authorities. Xiaobo co-authored a document called Charter ’08, a manifesto that urged political reform and criticized the Chinese Communist Party for violating human rights. For this he was taken into custody by the Chinese government and convicted in December of 2009. 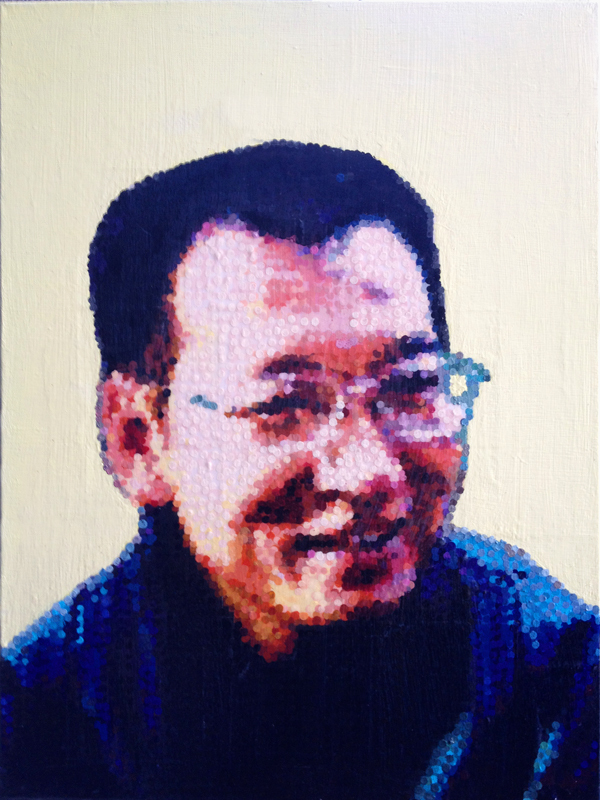 Liu Xiaobo is currently in prison for an 11 year sentence. Category: Portraits Tags: 2012, 24" x 30"